If you grew up watching Captain Penny on TV, looked forward to a school assembly with Jungle Larry, or visited the theme parks where our parents shared their animals, you'll recall a 6’6” man in safari hat and boots and his adventuring wife sporting khaki or animal prints. Others have different memories. WWII soldiers bitten by deadly snakes will remember receiving antivenin, but not the man who milked the venomous snakes to save their lives. A few old-timers in Africa, Australia, and the Americas may remember a deep-voiced man with an unusual concern for wildlife populations and conservation and an equally fearless wife who shared his passion for animals. 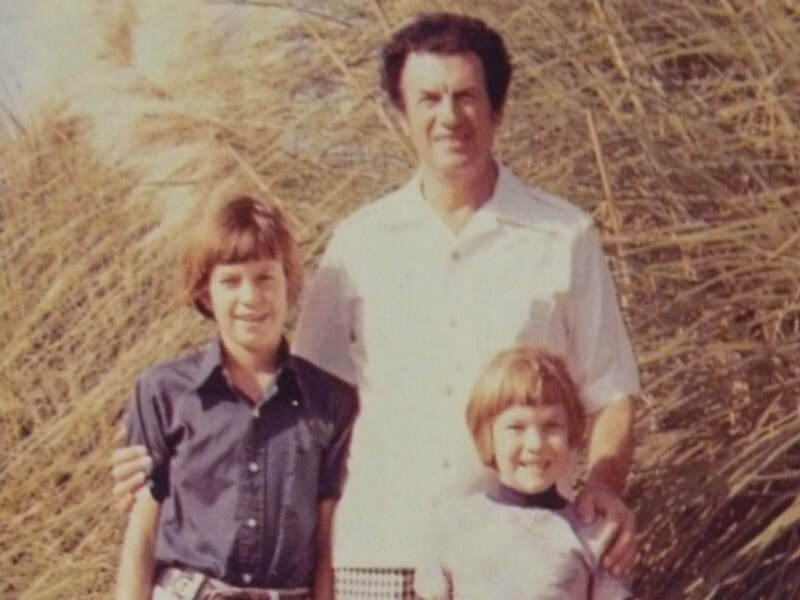 As his sons, we remember our mom and dad as all this, too. Mainly because of how many people we've met over our lives who've gone out of their way to share the influence our parents had on their view of animals. But even more, we remember loving parents who joyfully welcomed us into their wild world. They gave us incredible opportunities, but they never pressured us to follow in their footsteps. They wanted us to choose our own paths and to pursue our passions. We're also deeply proud of the opportunities they gave so many others as well, including how our mother used her own experiences to hire many women into animal care positions typically held by men starting back in the 1960s. And while our dad's stature and style easily grabbed attention, we remember his constant reminder to others that the two of them were a team of equals. Sadly, she had to prove that capability the hard way by carrying on their legacy alone after our dad passed away far too early when we were just boys of 15 and 20 years of age. And she continues to show that strength to this day. Together, they inspired within us a passion for conservation and wildlife that continues to be at the heart of all we do. 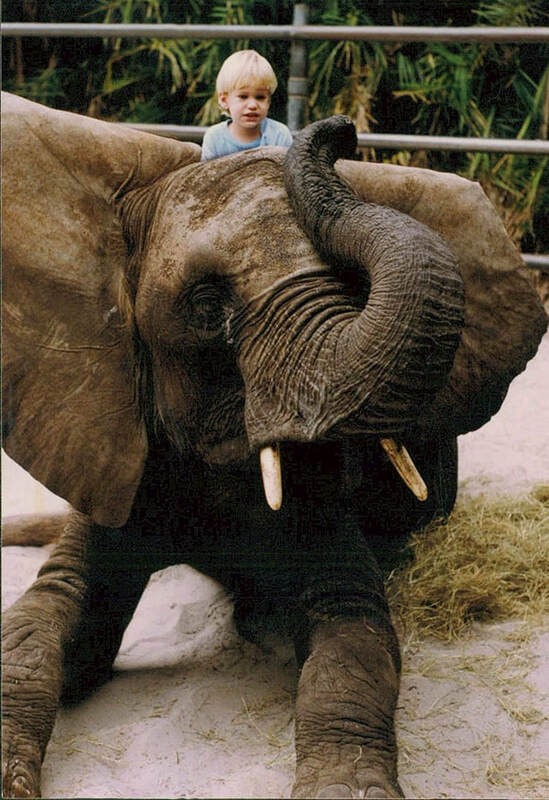 David touched his first wild animal, a giant python, on live Cleveland television at the tender age of six weeks. Shocking to some but perfectly natural when one’s parents are Jungle Larry and Safari Jane. 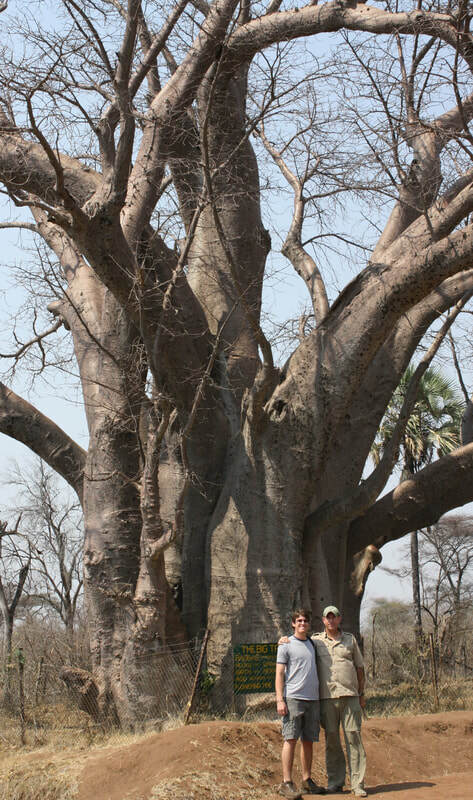 He took his first safari at the age of three and has since returned to Africa four more times. A passion for wild animals and the wild places they live is in the Tetzlaff DNA. 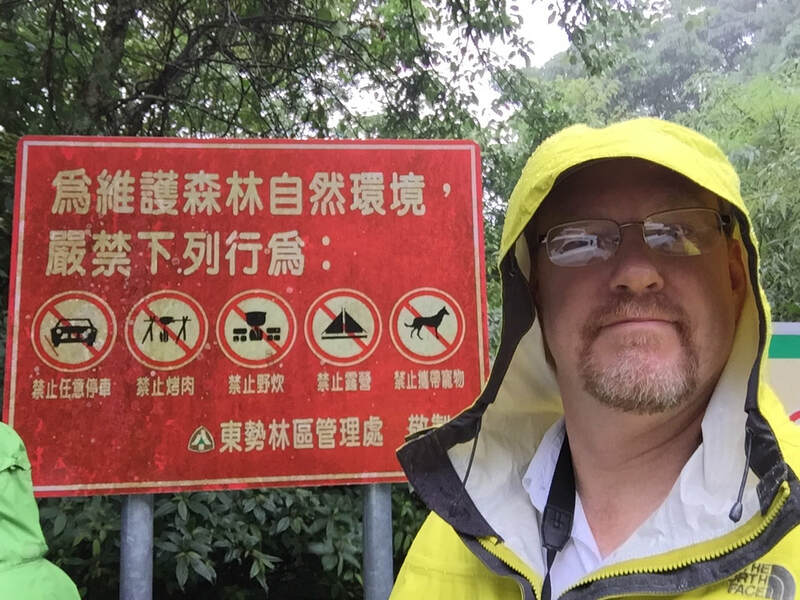 David has assumed the roles of animal keeper, curator, educator, and zoo director, yet David will always consider the finest years of his long career to be those spent training and performing with his beloved leopards, tigers, and lions. His hands-on relationship with his big cats has been featured in hundreds of newspaper and magazine articles and television appearances. 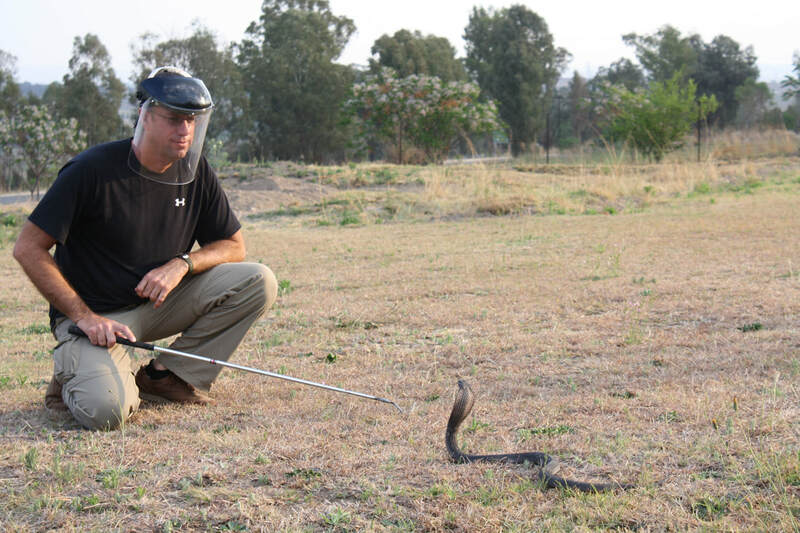 Later in his career, David learned to handle venomous snakes, coming full circle to connect with his father’s first passion—the world’s reptiles. 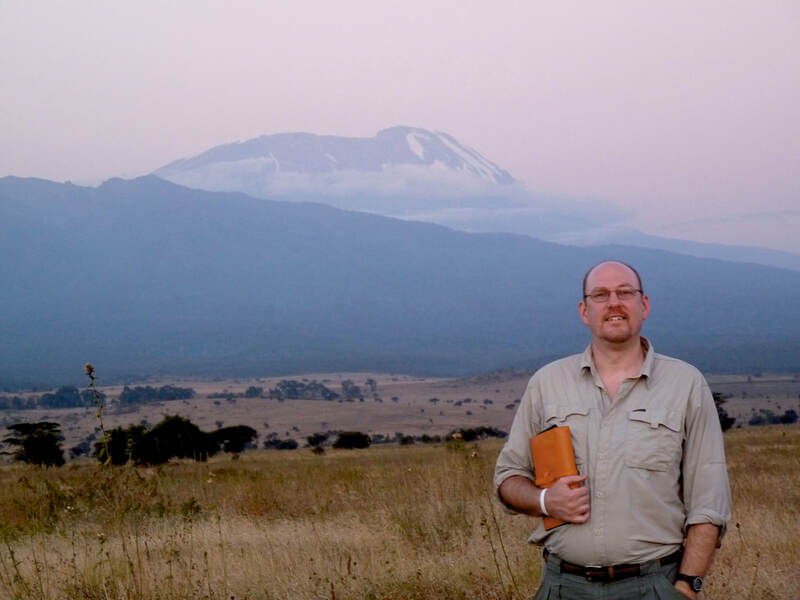 Today, relying on his decades of experience in the field, David consults for zoos and animal parks while pursuing his new interests of photography and freelance writing. David is married and has three sons. Sasha is David’s eldest son and spent much time around the animals as a young boy. 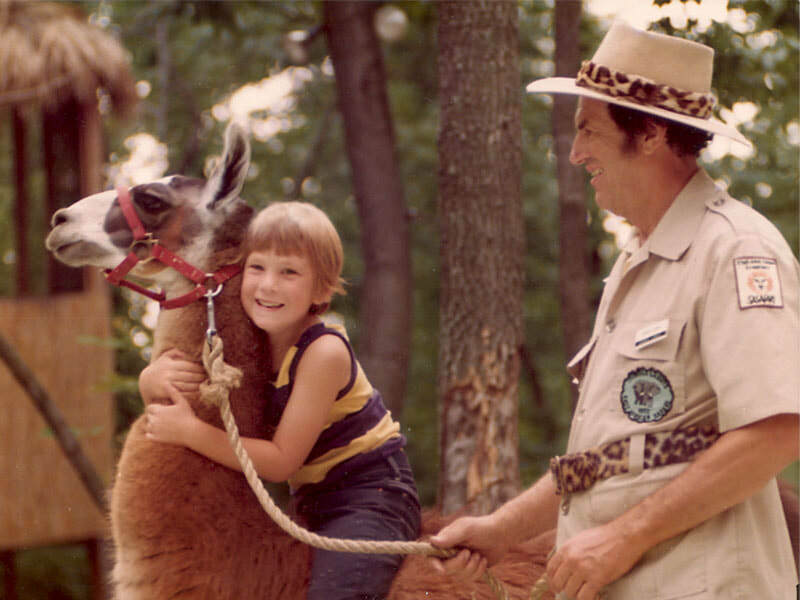 He later helped present animals in shows and cared for animals during summer vacation. 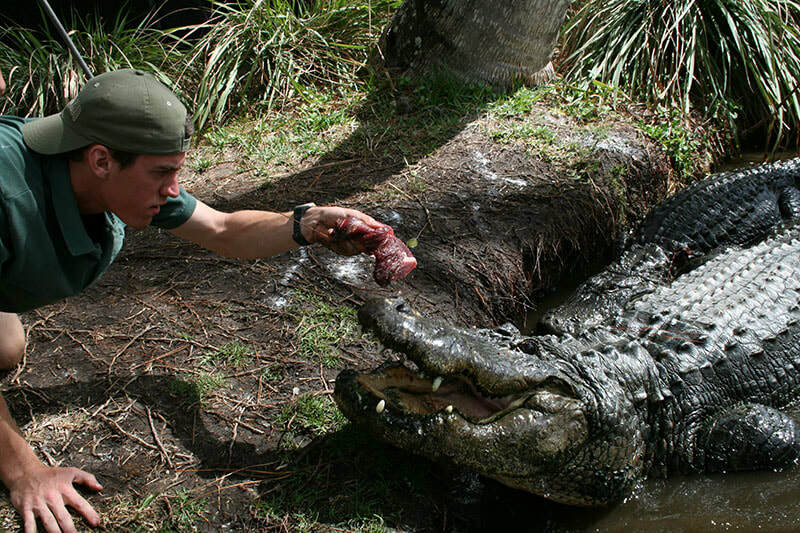 Sasha worked as an animal keeper and educator at Naples Zoo while completing his bachelor’s degree in Environmental Studies at Florida Gulf Coast University. He went on to earn a Master of Science degree in Biological Sciences from Purdue University. 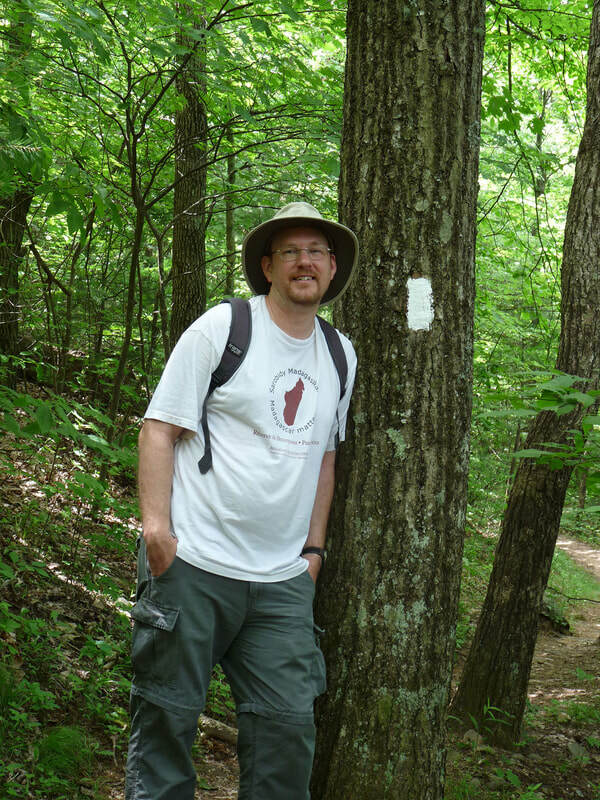 Sasha is currently working on a Ph.D. in Natural Resources and Environmental Sciences in the Sperry Lab at University of Illinois at Urbana-Champaign. 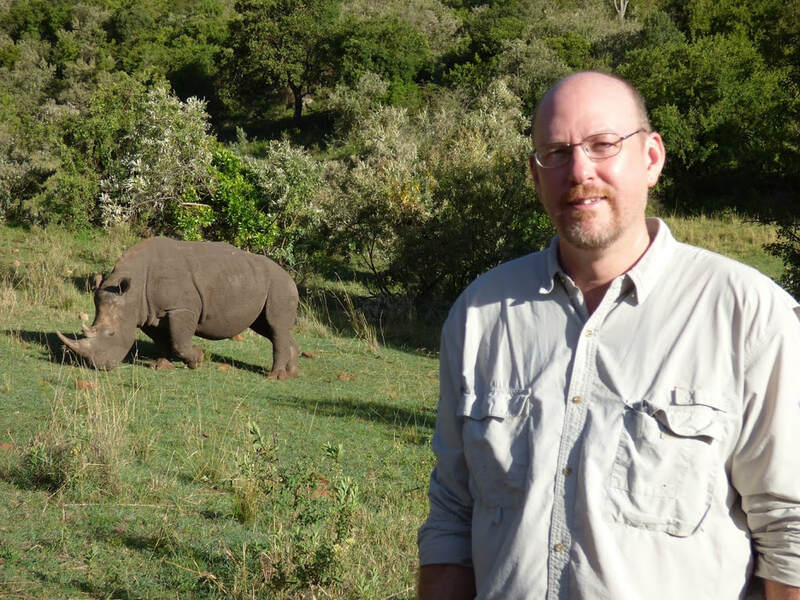 Evident by his increasing record of peer-reviewed publications and scientific presentations, Sasha is dedicated to wildlife conservation and ecology. Although he never met his grandfather, Sasha still feels connected to him through his research. 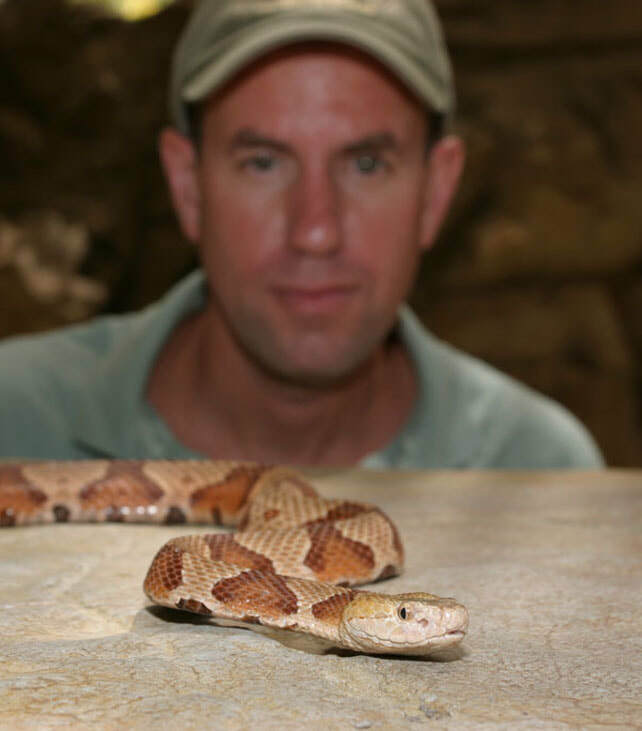 He previously studied massasauga rattlesnakes - a species Jungle Larry was fond of. 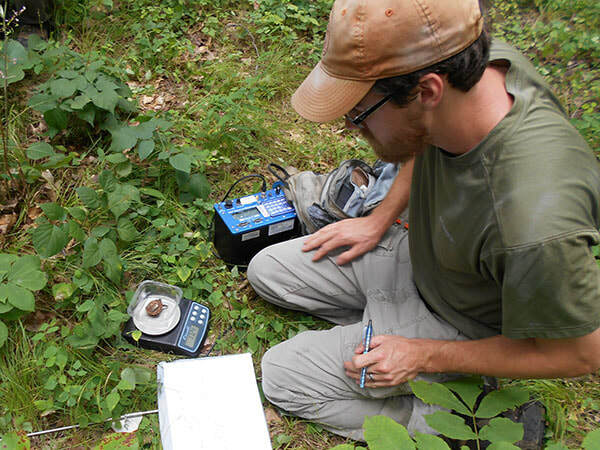 His current research on reintroducing box turtles takes place near Kalamazoo, Michigan, where his grandfather was born. 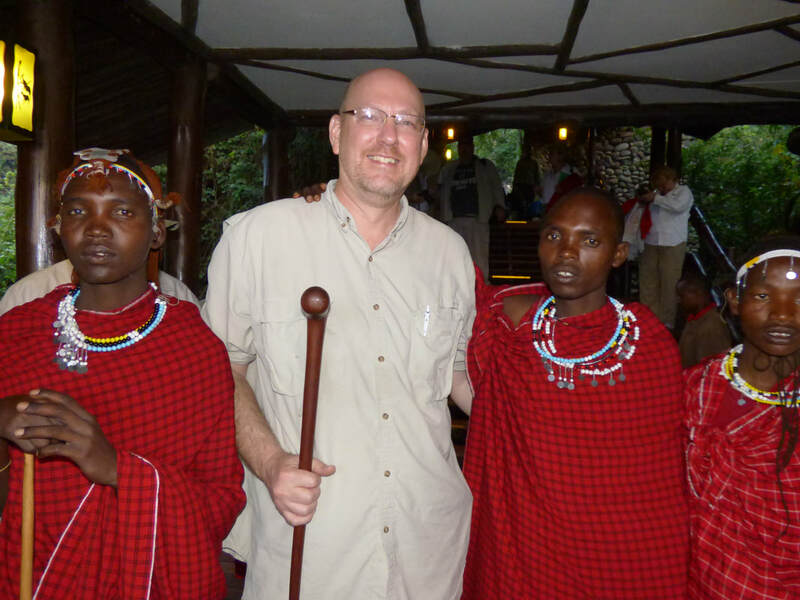 ​Sasha and his wife met while working as zookeepers. They have two sons. 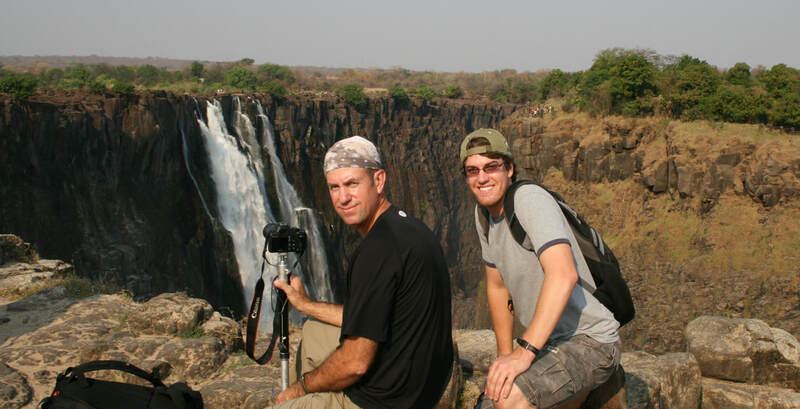 David and Sasha at Victoria Falls. 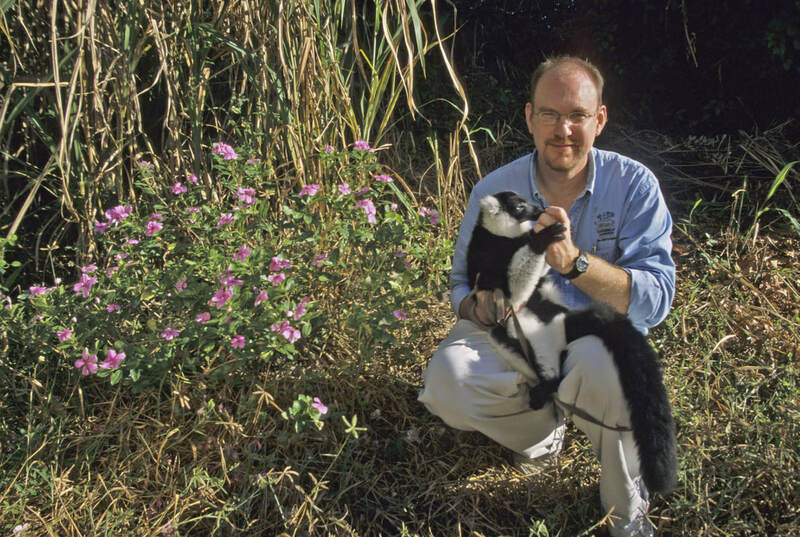 Tim is honored to be the son of zoo founders and educators and to carry on their conservation tradition. 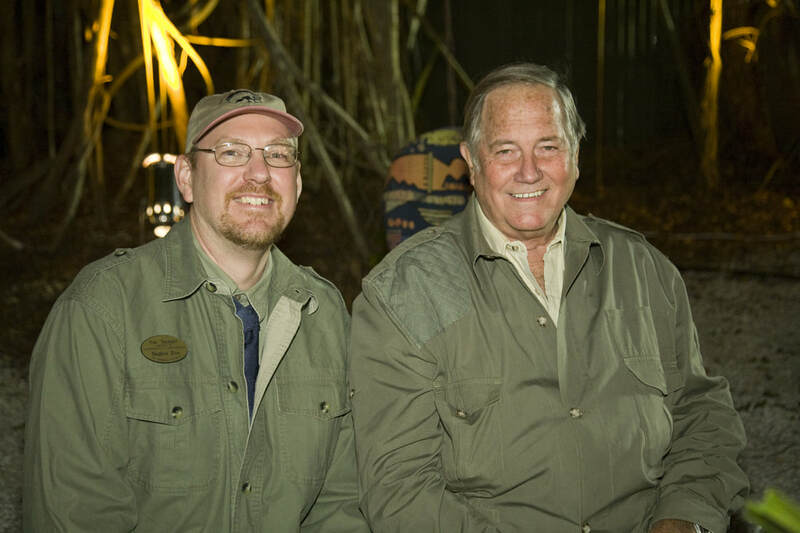 Growing up, he worked in a variety of roles with the animals including presenting and narrating shows as well as hosting educational talks. 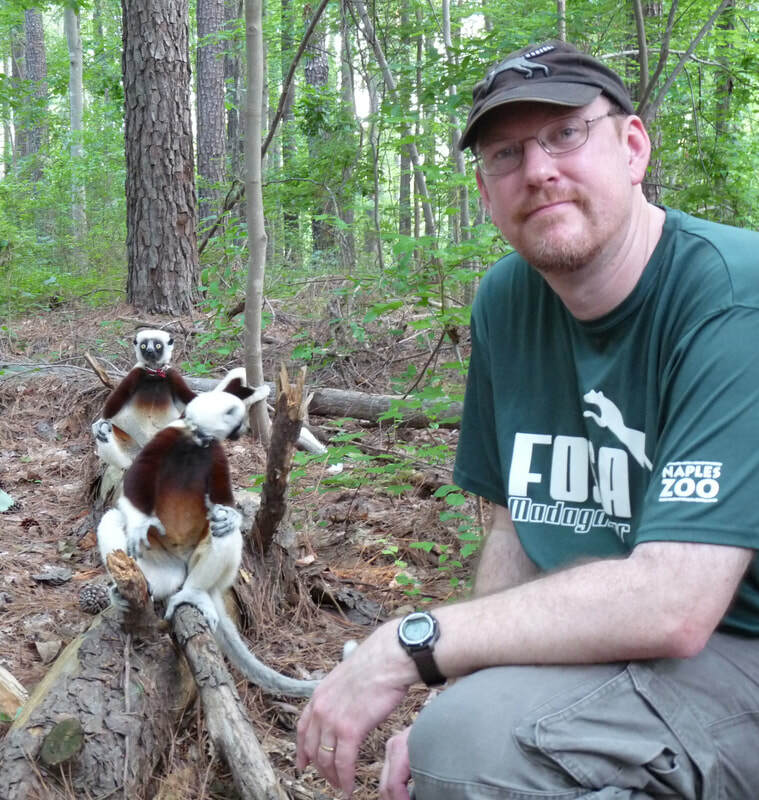 He pursued two degrees at The Ohio State University before returning to work with wildlife. 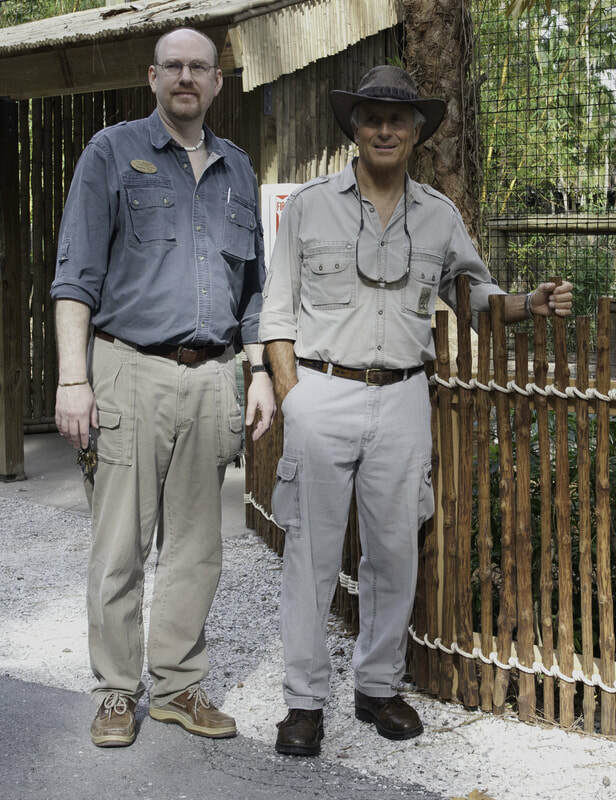 Today, he still occasionally assists with the animals at Naples Zoo, although his primary role focuses on animals in the wild. 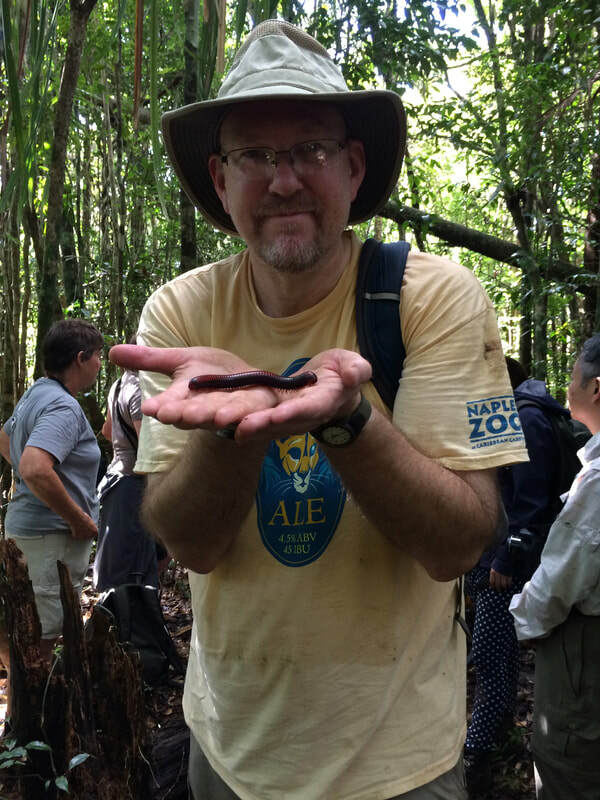 He enjoys collaborating with state and federal agencies as well as non-governmental organizations on regional Florida programs involving panthers, bears, bats, and pythons as well as international efforts. 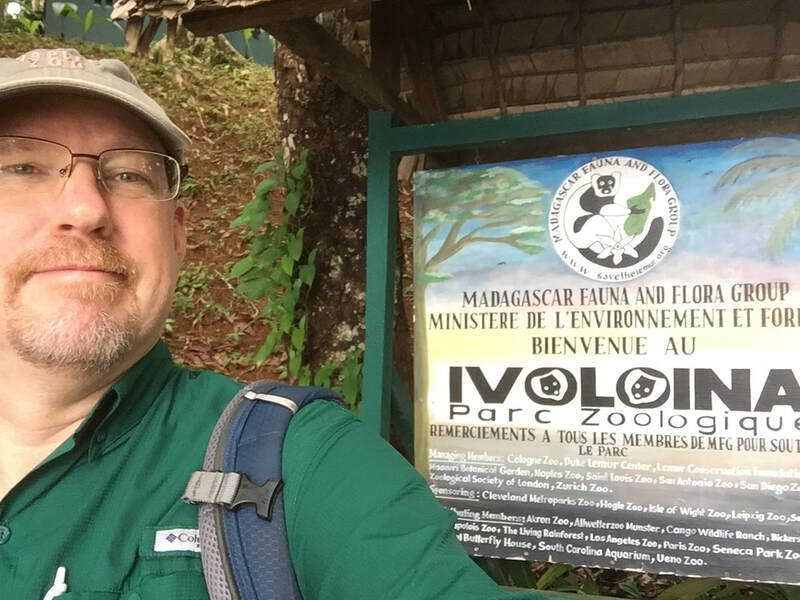 Tim is Chair of the Madagascar Fauna and Flora Group, an entity he has served since the 1990s. 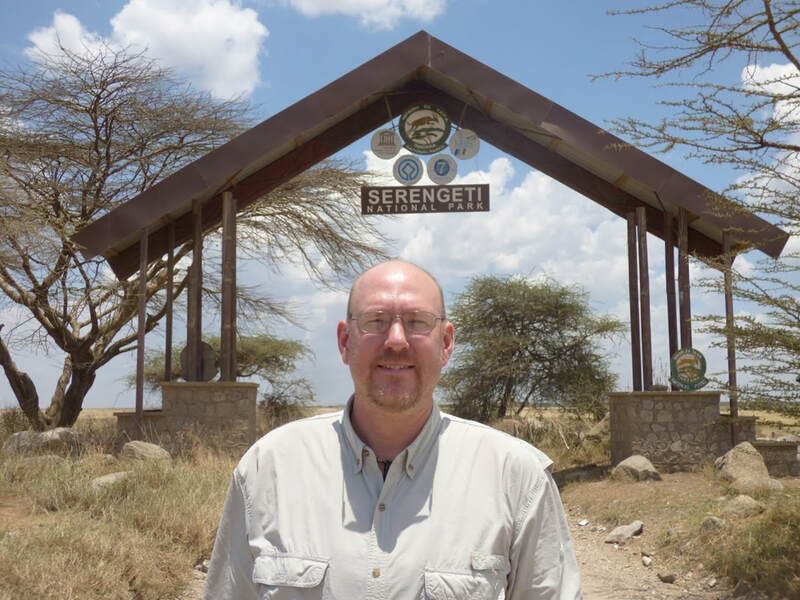 He is a member of the Field Conservation Committee for the Association of Zoos and Aquariums and spearheads its Colleagues in Conservation program to increase support for efforts in the wild. 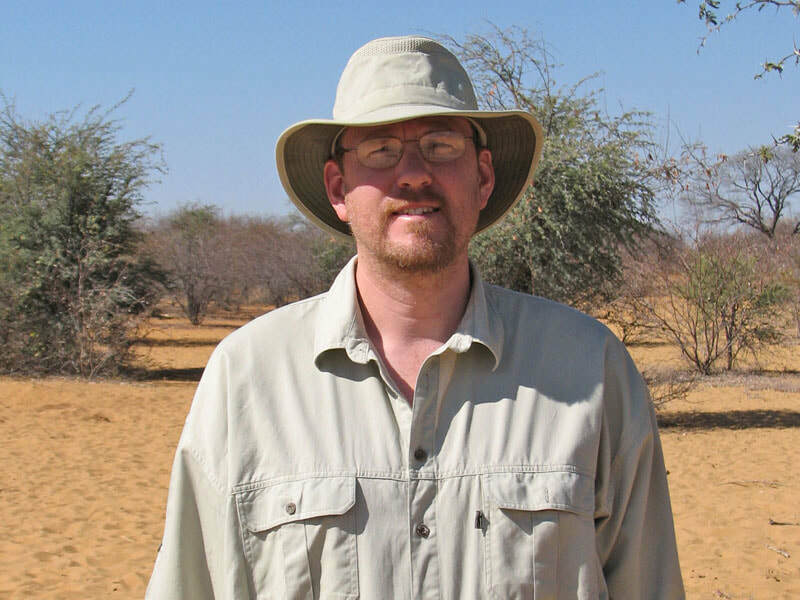 He has previously served on the AZA’s Conservation Education Committee, Public Relations Committee, and other ad hoc committees. 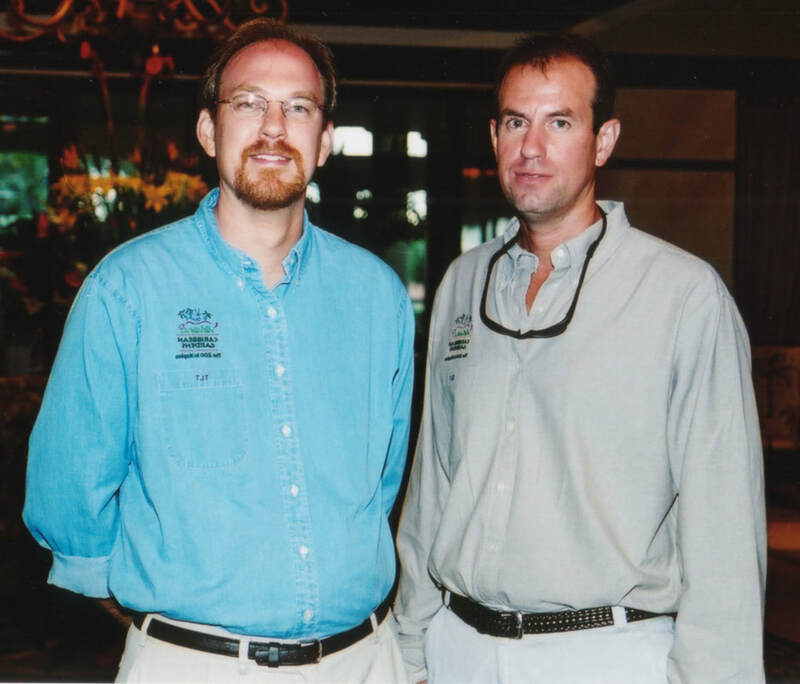 Tim is Vice-President of the Florida Association of Zoos and Aquariums and sits on their Conservation Committee. 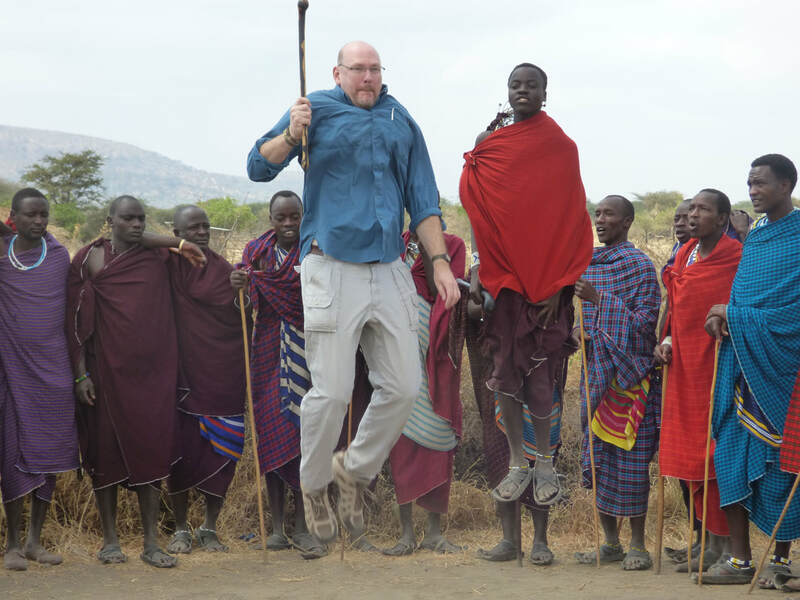 Tim also heads up Naples Zoo’s travel program and regularly hosts safaris to Africa. 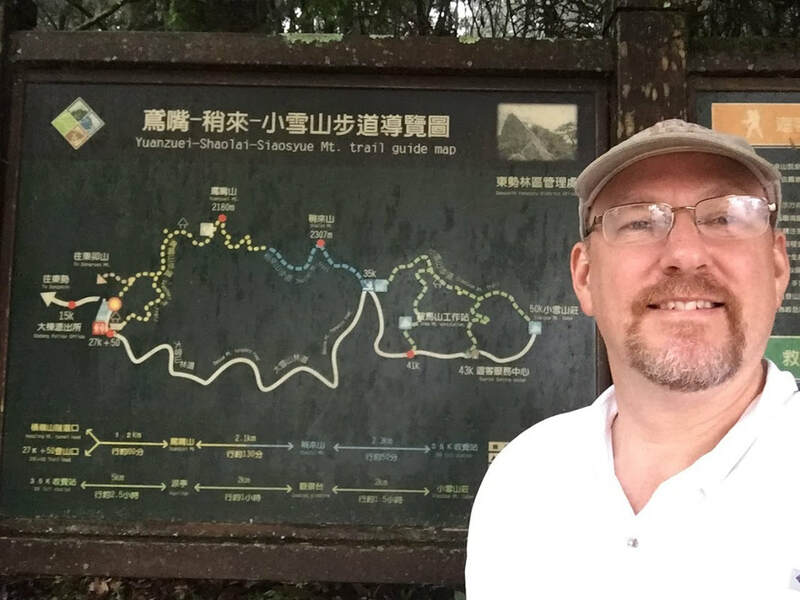 He and his wife were married in 1988 and their daughter is studying Chinese (Mandarin) at The Ohio State University.